One of the first scenes in the film depicts the two protagonists, Marie I and Marie II, dancing in front of an apple tree and then eating one of its fruits. 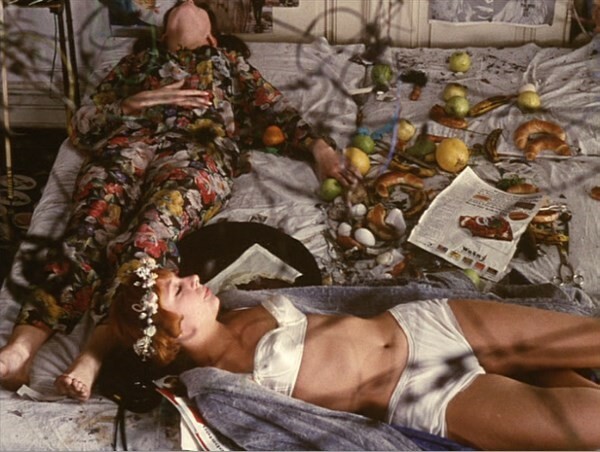 The parallel between the film and an Edenic fall from grace is distinct – here, they lounge in their lingerie and pyjamas surrounded by apples and croissants, a perfect depiction of the cardinal sins of sloth, gluttony and lust. In addition to being a wry comment on conditioned morality, the film consistently offers fashion inspiration; here, the silk pyjamas are very Gucci S/S16. Chytilová herself explained to Kate Connolly back in 2000, “If there’s something you don’t like, don’t keep to the rules – break them. I’m an enemy of stupidity and simple-mindedness in both men and women and I have rid my living space of these traits.” The way that Marie I and Marie II “go bad” is by breaking every convention expected of them; they go on a date with an older man and parody feminine sexuality while ravenously eating as much food as they can. They are unapologetic about smashing taboos of femininity through embracing its visual stereotypes of cute, girlish dresses while revelling in their gluttony – in fact, their wasting of food was one of the reasons given for the film’s governmental ban. Slightly damned by their affiliation with festival goers, Daisies reminds us that floral garlands worn on your head can still look great. When worn by Marie I, paired with a heavy eyeliner and a rebellious attitude, they are less Coachella and more Ophelia. The way that both of the Maries incorporate floral motifs into their outfits is a summertime inspiration for any wardrobe: paisley prints and wreaths suddenly seem incredibly appealing. In her pre-director years, Chytilová worked as a model and often took her experiences within the industry as an inspiration. Her first, graduate film (The Ceiling, 1962) was actually focused on its materialism, looking at the bland emptiness of fashion and capitalism through the eyes of a medical student-turned-model. A feminist exploration of an industry where men hold all the power and women are conditioned into banal consumption it reminds us that, although her films may offer plenty of sartorial inspiration, fashion is not the be all and end all of existence. 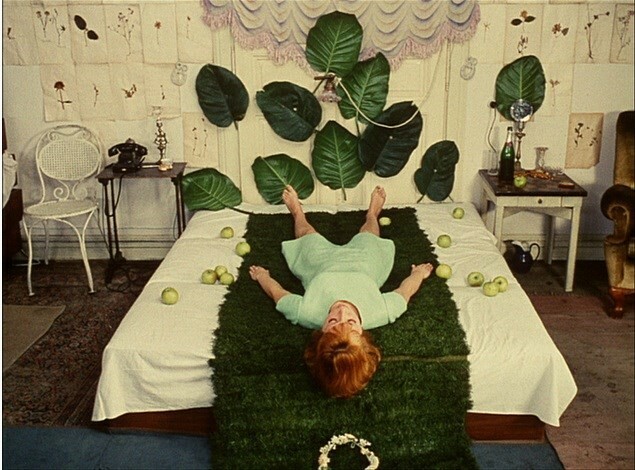 The last scene of Daisies announces that “This film is dedicated to those who get upset only over a stomped-upon bed of lettuce,” reminding us that rather than spend our time worrying about social transgressions we should instead be protesting Communist authoritarianism. 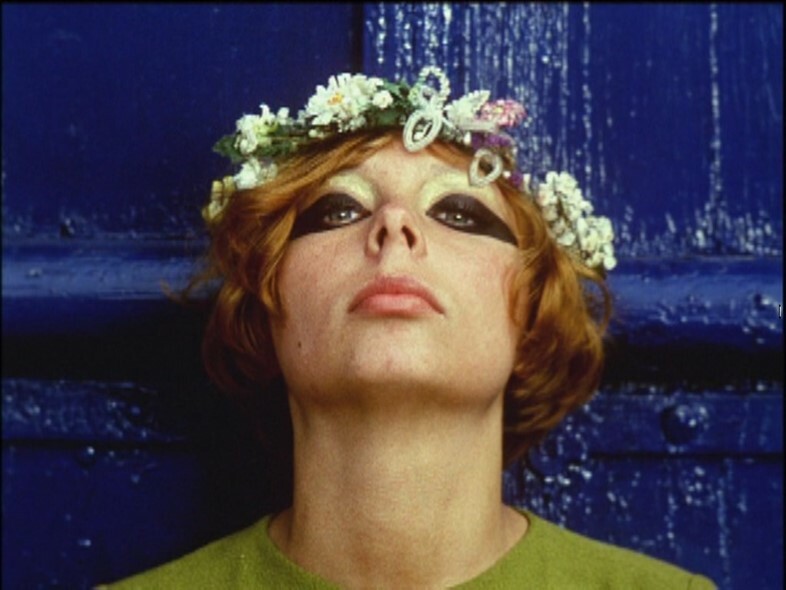 While we might not be enduring the same oppression as 60s Czechoslovakia, Daisies’ message is still revelvant in modern times – we should pick our battles, focus on the things that matter and refuse to concede to arbitrary conventions; a lesson as relevant in 2015 as it ever was.